For years, the word “budget” intimidated me. 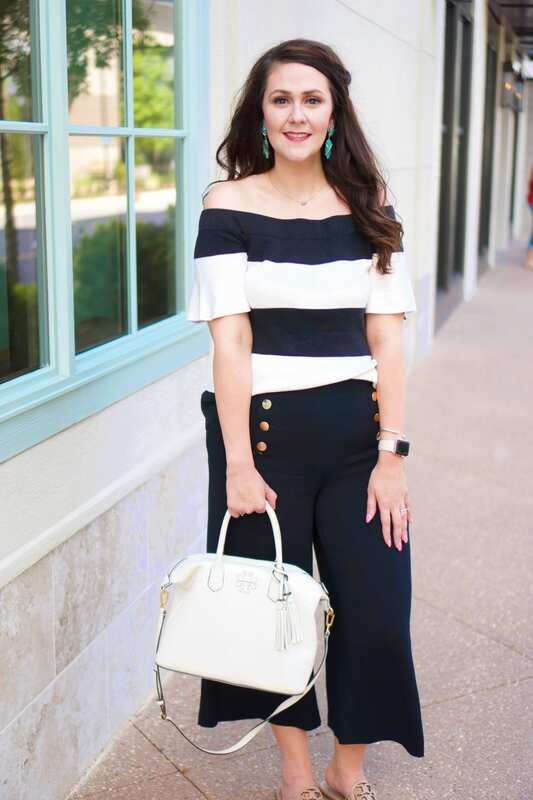 I’m more of a flexible person, and I saw a budget as being something rigid and unworkable for my busy lifestyle. Just the thought of it stressed me out! I thought it would take too much time and would be too complex to keep up with. Who has time for that?! Can anyone else relate??? Then I entered the real world and started working full-time. There were no more student loans to bail me out when money ran low, so I HAD to be more careful with my money. 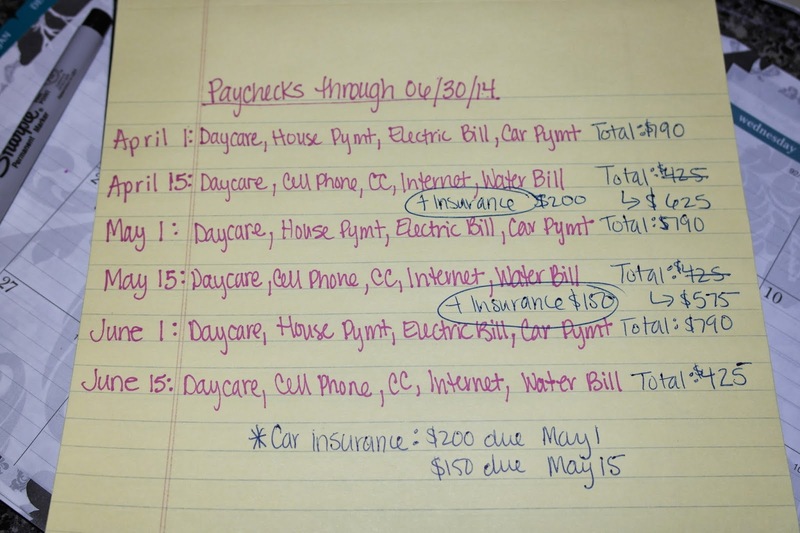 One night, I made myself sit down and calculate how much money I had due on bills each month–cable, electric, cell phone, car payment, etc. I wrote down everything (when it comes to “figuring” stuff out, I prefer to put pen to paper than type) and totaled it up. The next week, I went a step further. 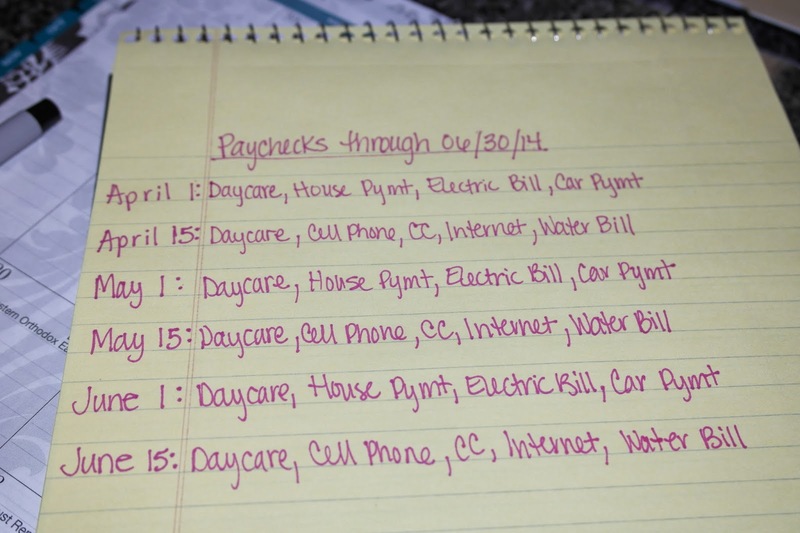 I decided to write down all my paychecks for a 3-month period and sort out what bills needed to be paid from which check. This, my friends, was the start of the Bright on a Simple Budget. 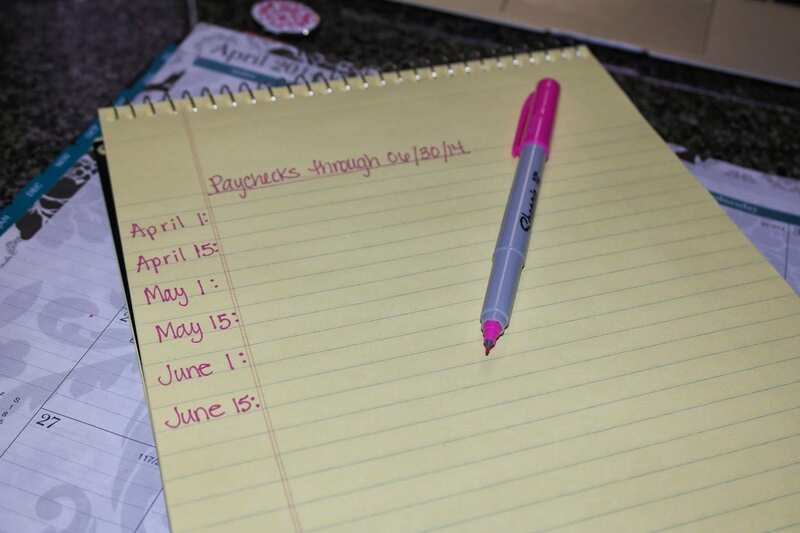 You can plan a 3-month budget in 15 minutes or less!!! What is the Bright on a Simple Budget? It’s a SIMPLE, quick, and easy 3-month budget. Once you gather your information, it only takes about 5 minutes to complete each time you sit down to do it. Below, I walk you through a sample simple budget based on an even $1000 paycheck every two weeks. 1. Pull out your calendar and figure out your paydays for a 3-month period. List those paydays on the left-hand side of your simple budget, like so. 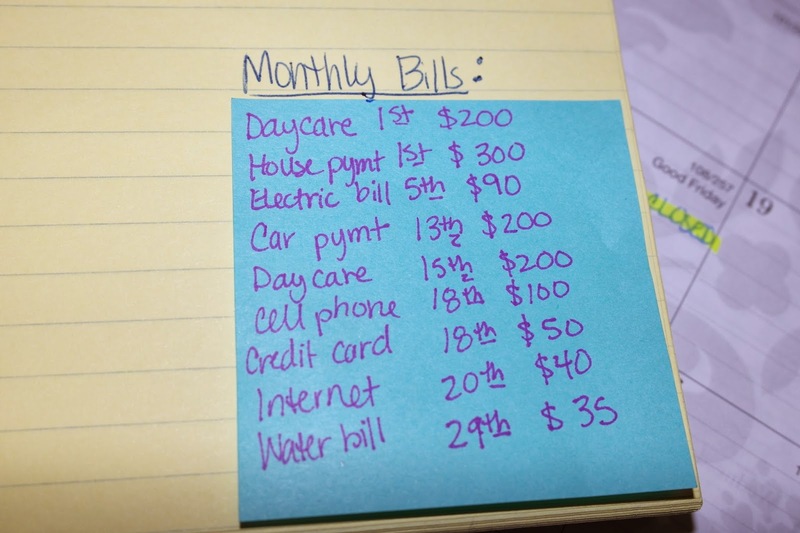 I like to do this part on a post-it note so I can re-stick it on my next budget sheet:) Be sure to update with any new bills, though! 4. Total up the bills for each each paycheck, and you will know how much you have left to spend on things not listed. For example, your bills for the April 1 paycheck total $790 of your $1,000 take-home pay, so you have $210 left for gas, food, entertainment, etc. If you don’t have enough money left over to meet your needs, or if there isn’t enough money to pay all of your bills that are due from that check, then reallocate your bills to a prior paycheck or split the bill between two paychecks. This also helps you to plan semi-monthly bills that tend to be larger, such as car insurance, home insurance, HOA dues, etc. Carve out money to pay for these semi-monthly bills from paychecks where you have extra money. In the sample above, car insurance in the amount of $200 being due on May 1. If the money were to come from the May 1 paycheck, that would only leave $10 left over, so it would be better if it was allocated to the April 15 paycheck. TADA!!! 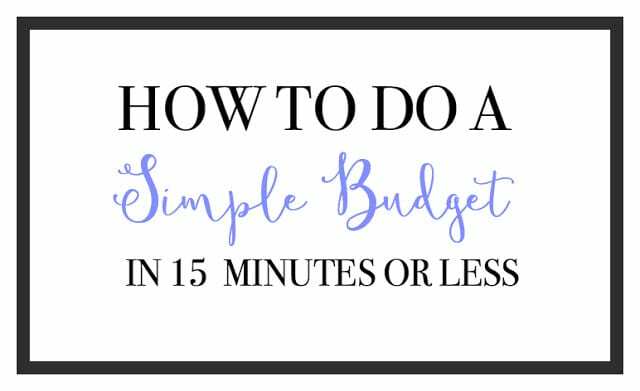 YOU HAVE A (SIMPLE) BUDGET!!! I choose to schedule as many payments as I can online for the day after my paycheck clears the bank. 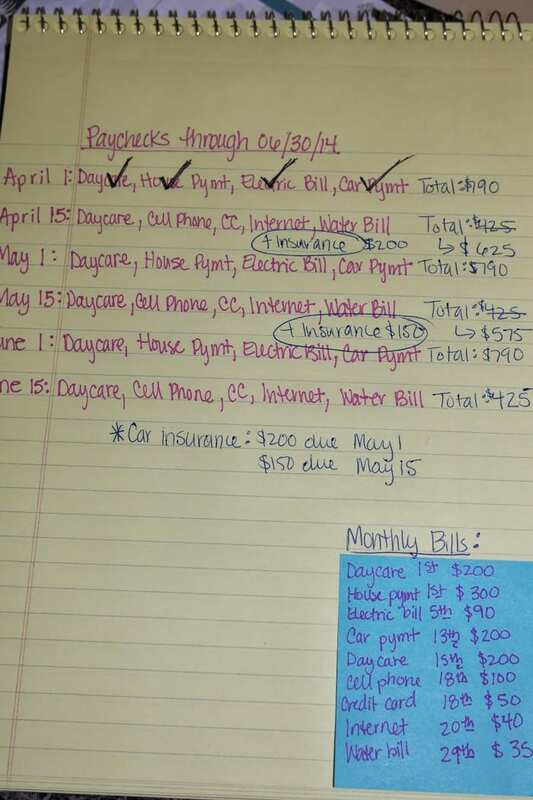 As I schedule or make each payment, I check them off my budget list, and I LOVE the sense of accomplishment I feel! I’ve found the simple budget to be quick, flexible, and easy-to-do! Plus, it’s completely customizable, and you can choose what works for you! If you decide to try it, let me know how it goes.